Conheça o lado espiritual de Nova Orleans nesta excursão de 2 horas pelo Cemitério de St Louis nº 1. Um guia local experiente o levará por um labirinto de assombrosos mas impressionantes mausoléus, incluindo o de Marie Laveau, a sacerdotisa de vodu mais reverenciada da cidade. 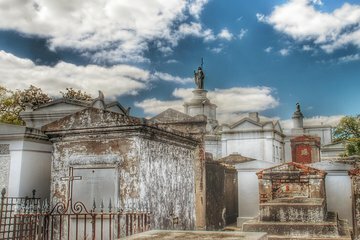 Aprenda sobre o distintivo sistema funerário acima do solo de Nova Orleans e sua rica - e em evolução - tradição vodu. Visite um dos cemitérios mais assombrados da cidade, o Cemitério de St Louis, nº 1. Seu encontro com os fantasmas de Nova Orleans começa brilhante e no início do French Quarter. Suba a bordo de um ônibus com ar condicionado para um rápido passeio até o cemitério de St. Louis, o cemitério mais antigo e famoso de Nova Orleans. Abrangendo apenas um quarteirão, este cemitério abriga milhares de famosos e infames mortos da cidade em túmulos e mausoléus de extravagância variada. Seu guia explicará a razão do funeral acima do solo e apresentará vários túmulos enormes para a sociedade, como o túmulo da Sociedade Mutual Benevolente Italiana, exibido no filme clássico Easy Rider. Você aprenderá sobre alguns dos famosos moradores do local, como Marie Laveau, a Rainha Vodu de Nova Orleans. Ouça sobre sua influência e popularidade durante sua vida como sacerdotisa e estimada cidadã local. Passeie pelo labirinto de sepulturas até o túmulo de Madame Laveau, um destino espiritual para pessoas de todo o mundo, onde você pode seguir a tradição mítica de fazer um desejo ou lançar um feitiço. 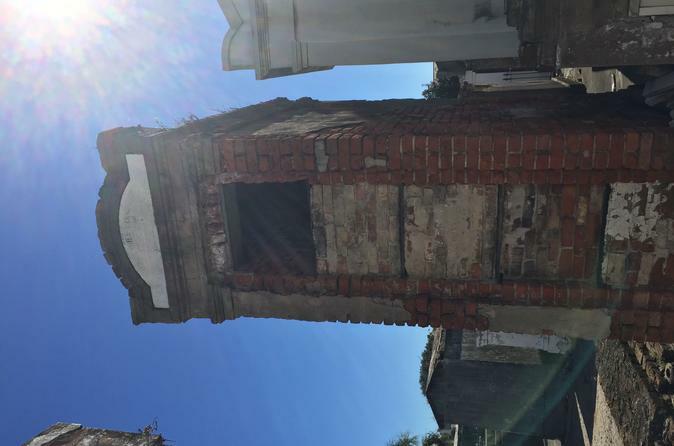 Ao sentir a magnificência do cemitério, você aprenderá sobre a história e o desenvolvimento da religião vodu em Nova Orleans. Em grande parte incompreendida como uma arte sombria com um culto de seguidores, o vodu é uma antiga religião africana que tem sido amplamente influenciada por outras religiões, incluindo o catolicismo. O vodu ainda desfruta de uma presença formidável em Nova Orleans, evidenciada pela presença de lojas especializadas em vodu, vendendo materiais rituais como ervas, óleos, velas, bonecos de vodu e amuletos de gris-gris-vodu. Você ainda receberá sua própria bolsa gris gris para levar para casa! Seu tour de 2 horas retorna ao ponto de partida no French Quarter. Came to town for a business trip and decided to catch this tour while in town. Highly recommend! Our tour guide was great, shared a wealth of information and tied both the history of the city and that of the cemetery and burial practices together perfectly. The cemetery was crowded with tour groups but still very much worth it! Robi, our guide, was very knowledgeable, kept the tour moving and made the tour fun!  I learned an enormous amount of information and corrected many misconceptions. Looking forward to another tour! While the tour itself appeared to be rich in history and very interesting to look at and speculate... our tour guide fell way short of a good tour. First, the detail of where and when to meet was simply "in the french quarter" . It took some searching for actual meeting spot. Second, our tour guide seemed more interested in filling us in on the shooting of NCIS: New Orleans than the history we were about to see. Finally while in the cemetery we were given detail on 3-4 tombs, while being told more about how she had grown up in New Orleans as a white lady and was authentic, while others were not... I felt like I was on tour with my babbling grandmother; lots of opinions and self indulged stories, light on the facts and history. The company however, had great transportation, and great driver. I will have to admit that after taking a tour from Jonathan Weiss the night before... his tour would be hard to beat, no matter the guide. I enjoyed having a bus take you to and from the location. The guide was also very knowledgeable and gave some great information. This is absolutely a MUST SEE for anyone visiting NOLA for the first time if you have a passion for history, cemeteries, voodoo, or any other spooky vibes going on. It was my first time, and I'm really glad I did this cemetery tour because I learned so much and saw so many different types of ovens, not to mention Marie Leveau's and Nicholas Cage's for future use, of course. The only thing I would change would be the meet-up options because the cemetery was literally right behind my hotel, yet I had to make my way all the way down to the Mississippi river, just to be driven back to the cemetery. Great tour, very informative. Comfortable coach bus and very knowledgable tour guide. Even though it poured part way through this tour, we had a great time. The tour guide was very informative and new a lot about New Orleans history and the cemetery. It was very interesting to learn about the burial process in New Orleans. It was also amazing to see the age of most of the tombs. A must do for anyone visiting New Orleans. The tour provided a lot of information and the guide was very knowledgeable. Loved the cemetery tour! Bili Jo had tons of information to share with us. Also, the tombs were an amazing sight to see! Stood in the rain for the whole tour, but guide was knowledgeable and made it worthwhile!